I think from last couple of days we are frequently working on some outdoor wooden pallet furniture items. Well, honestly speaking it has got a reason behind it. This is because of the massive requests made by many of our subscribers, seems like the whole world have switched to their patios, yes the very patios which were being neglected so far. 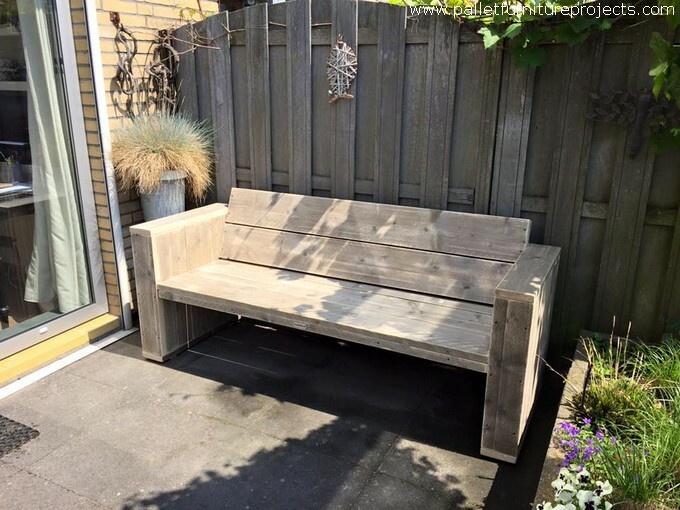 After being impressed by the pallet wood patio articles people have really started considering their patios. 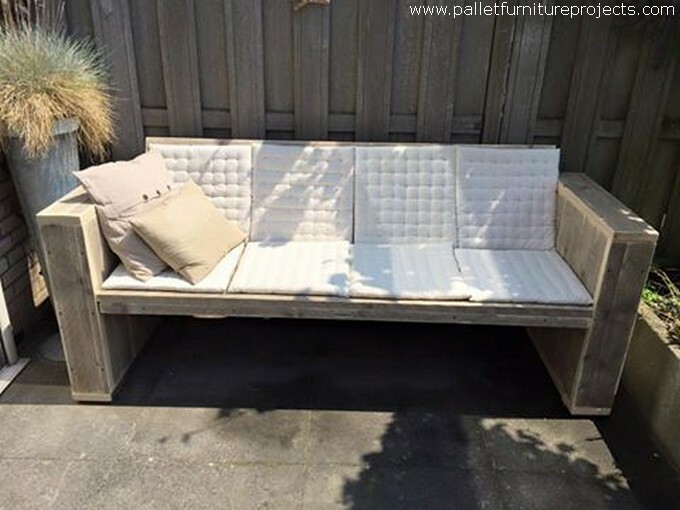 That is why we have again brought a pallet wood repurposed couch especially for your patio. This would be designed pretty accordingly. First of all we always prefer to have a basic distant look of the wooden pallet furniture item. This is done to have a glimpse of the real outlook of the furniture item and what kind of impact it would create while lying on your desired place. Now being specific about this pallet wood couch, the first thing that comes to our mind is the size because it is pretty huge. 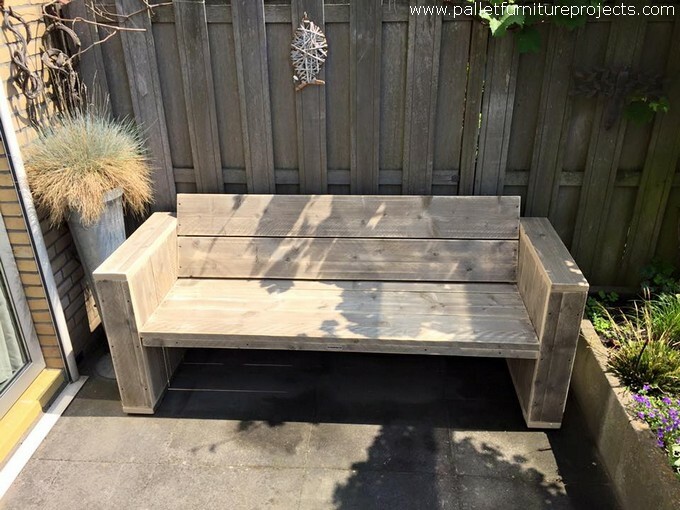 The other thing that is quite dominant is the rustic and raw look of the wood pallet couch that we have maintained deliberately to make it perfectly appropriate for the patio. After looking at it from all the perspectives now the main thing that counts is the quality of the shipping wood pallets. 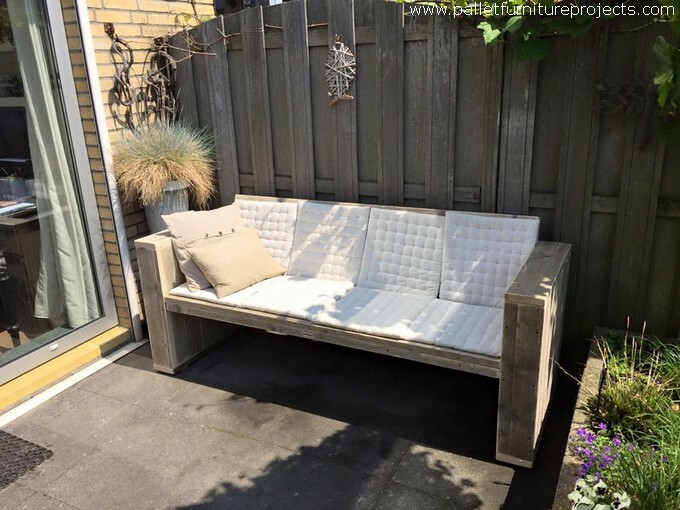 As this couch was meant to be placed outside in the open whether patio or the garden, that is why we didn’t hesitate using the raw wooden pallets. Neither we stained it nor sanded it thoroughly because being old the pallets had already smoothened up a lot. And final consideration would be the shape, so we made it in a pretty casual looking manner so that total informal atmosphere is created out there in the patio.